Are Peaches Good for Diabetics?13 Reasons Why Peaches Rock! Are Peaches Good for Diabetics? Peaches can substantially lower your risk for type 2 diabetes because they contain a high amount of fiber. They also are low on the glycemic index with a rating of between 25-55 which makes it a perfect fruit for diabetics. Some fruits are high in sugar content, but peaches are not and they are an excellent choice for diabetics. Many folks may assume that all fruits have a lot of sugar content. This isn’t the case. It all depends on the number on the glycemic index chart as to whether a fruit is high or low with sugar. That’s why peaches are good along with many other low glycemic fruits. It’s vital to eat only fruits with low sugars. Berries are another example of fruits with the lowest sugar content. It’s necessary to note that while you may eat fresh peaches in moderate amounts, it’s advisable to avoid canned or processed peaches because the more harmful and larger contents of sugar. 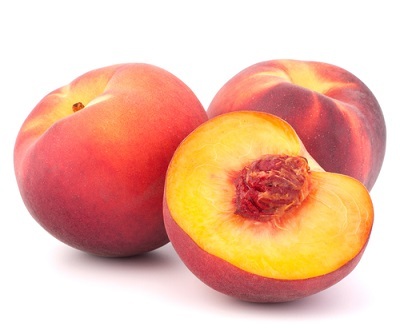 However, the fiber in peaches helps to control your blood glucose levels. It reduces the sugar absorption process and lowers the rate of your glucose as it is passing in your bloodstream. This is important because will prevent a hike in your blood glucose level. The American Diabetes Association states that it’s important that fruit is part of your daily diet. Because although they carbohydrates, they still contain many other nutrients that your body requires. It’s important because with diabetes when your blood glucose is higher, your body does not use what insulin it has to convert the carbs you eat into much needed energy. The best recommendation for the amount of peaches to be consumed is two peaches and three daily for overweight diabetic women and men. I personally wouldn’t recommend more than three a day anyway. You have to remember that as a diabetic you should be aware that you need between 45-60 grams of carbs per meal and 15-30 for a snack. 2) Vision Care- I say this all the time. My eyes are the most important thing in the world to me. I want to take care of them and peaches contain beta-carotene which is crucial in the prevention of disease of the eyes and keeping them healthy. So I’m going to eat peaches which are low in sugar content and help protect my vision at the same time. Won’t you do the same? 3) Heart Health- Your heart is the most important organ in your body because it keeps you alive and moving. You want to avoid cardiovascular disease at all costs. Consuming peaches is going to help you here. It is heart healthy because it consists of vitamin C, fiber, and potassium that provide the protection against cardiovascular disease. 4) Inflammation- Every disease and ailment revolves around inflammation. this is something you really have to control if you want to stay healthy. The vitamin C contained in peaches is vital to treating inflammation and calming it down. This is especially the case in people who are overweight, are type 2 diabetics, or have high blood pressure. Inflammation is the root of all evil when it comes to your health. It is the reason why you contract illnesses in the first place. The best thing you can do for your body is to fight inflammation. Eating a natural fruit such as peaches is going to help you accomplish that. 5) Immune System- If you want to help build your immune system to be stronger then peaches are your fruit. They contain immune boosting properties with such nutrients as vitamin A and vitamin C which provide benefits for a stronger immune system. Your immune system can be helped by many foods that you eat. It’s the healthy foods like peaches that help build your immune system. 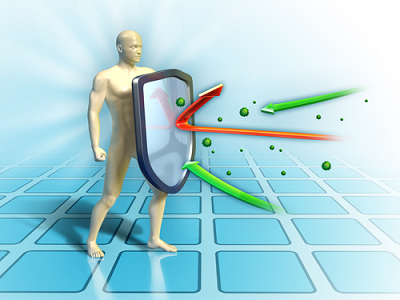 Remember, your immune system keeps you healthy and free from viruses and bacteria and disease. Eat a peach! 6) Minerals- Potassium is very important for your body and one large peach contains over 300 mg of potassium. In addition to potassium, it includes other minerals such as copper, magnesium, manganese, phosphorous, calcium, and iron. These minerals are vital in the functioning and supporting of your bones, red blood cells, and the health of your nervous system. 7) Blood Pressure- High blood pressure is dangerous and there are many foods including foods such as peaches that can help. Again because peaches have more than 300 mg of potassium, that is going to help control your blood pressure immensely. The potassium will assist in the maintaining of your pressure and helping to relax your blood vessels. 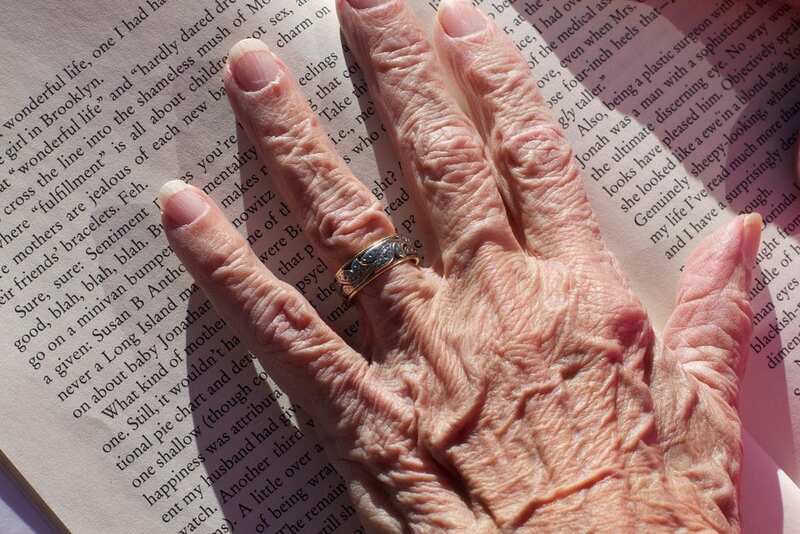 8) The Aging Process- We all would love to slow down the aging process, wouldn’t we? The mineral zinc is very essential in providing with anti-aging benefits that assist in the structure and solidarity of your skin, your largest body organ. Since zinc is abundant in peaches, it aids with regards to other diseases including heart disease, diabetes, and cancer. 9) Pregnancy- When you’re pregnant you want to be as healthy as possible. You want a snack? Avoid any processed foods. Peaches are excellent for snacks because they contain dietary fiber, folate and iron. Vitamin C in the body during pregnancy will help your body with your defenses becoming more powerful. Folate is responsible for making sure that you get sufficient absorption of iron that is necessary from the food that you consume. 10) Losing Weight- One of the biggest problems in the world today is obesity. It’s really tough sometimes to resist foods especially those containing sugar. You get use to not eating healthy and it catches up to you and you put on the pounds. Excess fat is obviously no good for you. But you already know that. On the other hand fruits such as peaches contain fiber that fills up up and helps with losing the weight. You will have the experience of feeling full for a longer period of time. Your cravings are satisfied and the weight will come off. Just try and stick to foods like peaches. 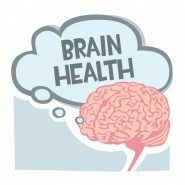 11) Brain Health- The function of your brain is vital to your health and you need it to be healthy as any other organ. You need your brain to communicate with your nerves. So eating and sleeping are vitally important for this function. The function of your brain and your nervous system have been helped by the properties of peaches. Just a peach a day will do wonders for your brain and your health in general. 12) Digestion- If you need help with digestion, peaches are the answer! They are extremely beneficial in removing and cleaning out any toxic waste from your intestines. You can help to possibly prevent stomach cancer and also avoid disorders of the abdomen too. You know what else they can help with? Peaches are able to aid in dissolving bladder and kidney stones. But the dietary fiber can also benefit you from developing stomach ulcers, constipation, hemorrhoids, and unhealthy bowel movements. 13) Teeth & Bone Health- You without a doubt need strong teeth and bones especially when you get older. You need calcium and phosphorous for this to happen and at the same time repair and maintain your body’s tissues. This is also beneficial in preventing bone decalcification and that will lead you down the road to osteoporsis. This is more common in women during post menopause. Having peaches as part of your regular diet is fine and for the most part healthy for you.It’s when you overdo it that you could have issues and negate the benefits that peaches provide. Be careful! *Vitamin A- Is vitamin A healthy for you? Absolutely! But again, have a peach or two because excess vitamin A can cause pain in your bones, blurry vision, possible bleeding in your lungs, and issues with breathing. Moderation my friend! *Excess Iron and Magnesium- Both of these minerals are important and beneficial for your health but eating too many peaches can cause excessive amounts that are not healthy. Too much iron may cause liver disease, joint pain, chronic fatigue, and heart issues. Are peaches good for diabetics? Fruit is good for you even when you have type 2 diabetes. Don’t shy away from it because it has sugar. Every fruit is different and as long as the glycemic index is below 55, you’re good to go! Peaches are good on the list so eat them in moderation and you’ll be helping your diabetes, blood sugar levels, and overall health! End Your Type 2 Diabetes Below Today! I can speak to the fact of avoiding canned peaches, haha. I ate so many at once as a good that I had an allergic reaction. I’ve never had an allergic reaction to any food before or since. I just ate too many canned peaches at once! But I didn’t know that peaches are such a great food. I should eat more of them. And I didn’t think of peaches as a good pregnancy snack. I’ll have to share that info. I remember as a kid eating too many canned peaches. But I never had an allergic reaction. Peaches are a good fruit to eat for lowering blood sugar as long as you don’t overdo it. They are a natural fruit that is healthy and good for you as long as you stay away from the canned peaches with all the sugar in them! So have your peaches, but in moderation! Your thoughts are appreciated! Thank you! This information is so helpful. I have a very strong family history of diabetes. I myself have borderline sugars now. I love fruits and I like that peaches has a low glycemic index with low sugar and other vitamins plus fiber. It actually tastes good as well. I think that generally for diabetics, you need to eat at most 3 fruits a day, is that right? It’s always important to be careful with your sugar intake if you have a family history of diabetes. Borderline sugars can be dangerous, so watch your sugars. I would have fruit in moderation. Peaches are good, but not too many. Everyone is different but three fruits might be right for some and not for others. It depends on the fruit and its’ glycemic index too. I’ve always love peaches, but never know that it has so many benefits for diabetic patients. Mom is Type 2 and we have a challenging time finding fruits that suit her because she has such a sweet tooth. We live in the tropics and peaches are hard and expensive to come by. But we can find them in supermarkets – that’s for sure. Will certainly avoid canned peaches for sure, or any canned products for that matter. I always find their sugar levels over the top. I always loved canned peaches when I was growing up, but that’s obviously not what you want to be eating. Peaches are beneficial when it comes to blood sugars, but you do not want to have canned peaches with sugars and syrups. I wouldn’t have more than 1 medium peach a day anyway because I would be overdoing it. I am so thrilled to find this article. Both of my parents are disabled. My dad is a heart patient with type 2 diabetes. He was insulin dependent for a long time. He is also a heart patient with high blood pressure and high cholesterol. My mom has an auto immune disease that leaves her retaining water and in constant pain. I have shared this article to both of them in hopes they will eat some peaches. My mom will but my dad may be a different story. The anti-inflammation properties of peaches alone should help them tremendously. If I can get my dad to eat them and it helps with his diabetes maybe he can get off of one of his diabetes medications. Very hopefully after reading this article. Thank you so much. Thank you so much 🙂 I’m sorry that your parents are disabled. It’s tough when you have health issues, but sometimes the best thing you can do is eat right. Most fruits are very healthy for you and peaches are as well. It’s always about moderation though. Your folks should read the rest of my articles that could also be beneficial for them in addition to peaches. Yay! I love peaches. Glad to know it has so many health benefits. Funnily enough, I craved peaches while I was pregnant. I’m surprised that they are good for diabetics because they are quite sweet. It was also useful to know there are contra-indications that people should be aware of too, especially for diabetics because they might have other health complications too. Thanks for a great article! Peaches are the best! I love fruit that’s healthy but especially go for the fruit that’s good for diabetics. They taste good and are low in sugar. As long as they are consumed in moderation, they are fine for diabetics. I usually have one a day and sometimes two but that’s the limit! Thank you for your interest in peaches! I am currently trying different teas and foods to improve my weight loss and weight maintenance program and have been told often that fruits such as peaches have a lot of natural sugars and one should not consume too many of these. I want to thank you for adressing this issue for me. Would you say there is an optimal time of day to consume them to get the most benefit out of them or is it an all rounder where this doesn’t matter. It’s good to turn to tea and specific foods for weight loss because that also helps lessen your risk of diabetes and also helps to control it. Let me just say that peaches have a glycemic index of between 28 and 56. Under 55 is good so you want to have only one peach that is medium size. Peaches do have sugar but having one in moderation is good for diabetics. I don’t believe there is a specific time of day to have peaches but I would eat them in the morning as I do because you can burn off the calories throughout the day. Good luck and thanks for your insights! Hi Rob,Thanks once again for writing up yet another very informative post. In this one I’ve learned that peaches are good for diabetics- as well as any other fruit whose GI is below 55. I didn’t know that, by the way, so thanks. I’ve learned that peaches also have fiber. Could this be classified as soluble or insoluble or starch resistant?It’s also good that you caution us on excessive eating- especially with the hypekalemia issue. Yes, peaches are good for diabetics. Most people might shy away from peaches because fruit does contain sugar. But as long as the glycemic index is below 55, you’re good to go and peaches are good as long as you don’t overdo it. Peaches happen to contain both soluble and insoluble fiber. Fiber is excellent for giving you that full feeling and with losing weight too. Have your peaches, but only in moderation! I appreciate your comments! Thank you! I had no idea about all of these health benefits, thanks for sharing this! I didn’t realize that peaches were high in fiber, OR low in sugar. I always liked peaches, but I’ll definitely add more to my diet after finding this out. Do you know if nectarines have the same benefits? What are some other really good fruits that you know of? They always say that fruits are good for you, but sometimes you don’t know how good an individual fruit is until you read about it. I love peaches and they are good for you and low in sugar. But avoid the canned peaches because they are packed with sugar and ingredients you don’t need. Nectarines have a glycemic index of 43, so yes they are good for you as well. Any fruit below with a GI of 55 or below is good. The best fruits for diabetics and low blood sugars are any fruits that are berries such as raspberries, blueberries, and blackberries. Hi Rob, what a fascinating post. I didn’t know that different fruits had a different glycemic index or that peaches and berries had a lower sugar content than other fruits. Good to know. I’ve been thinking of going on an anti-inflammatory diet so I popped over to read your post on fighting inflammation as well. Thanks for providing such powerful, useful information on one site. That book on ending and reversing diabetes sounds incredible and I have the feeling you’ll be writing your own book soon. Thank you so much! Fruit is good for you but when you’re a diabetic, you have to be careful about your sugar intake and you might be hesitant about eating a fruit such as a peach. Because the GI is low, sugar isn’t an issue. And inflammation is the root of all evil which is why I wrote about it. Addressing inflammation and reversing diabetes are about two of my most important articles. In any event, keep eating peaches, just don’t go overboard! Most people assume that all fruits, including peaches, are not good for diabetics because they contain high sugar. I’m surprised to know that peaches are acceptable because they are high in fiber and have a low glycemic index. My brother-in-law (my husband’s older brother) who is a diabetic loves fruits such as grapes, strawberries and peaches because he thinks fruits are healthy and they contain natural sugars. However, we worry that he might be doing more harm than good to his health. But you’re right, it’s all about eating in moderation because as they say, anything in excess is bad. I know that bananas are high in minerals like potassium but it never crossed my mind that peaches offer the same health benefit. Who would have thought that peaches have all these health benefits you mentioned. By the way, what’s your opinion on canned fruits as substitutes for fresh fruits? I mean just in case fresh fruits are not available or out of season. You’re so right! People do think that fruits are not good because they contain sugar and they do. But it’s the glycemic index number that means something. Staying under 55 is good and acceptable. Peaches fall into that category. Strawberries and grapes or okay, but raspberries, blueberries, and blackberries are better because their GI numbers are less than 5! Canned fruits? No way! Too much sugar and ingredients you don’t want or need! I would avoid them if possible. Another wonderful surprise. As a diabetic this site is quickly becoming my favorite. It can be so confusing as to what is good, what is bad. I mean I truly do want to survive this disease. The best thing is you are showing me how there are yummy foods that we can eat. Once again thank you for taking the time to put this article together. As a diabetic sometimes you do get confused as to what’s good and what’s bad to eat. Knowledge is power and the more you know, the healthier you can become. It’s best to eat the foods with the least amount of sugar and while fruits contain sugar, peaches with a GI of 26-54, peaches are fine. Eat in moderation only. Extremely powerful blog to influence the type 2 diabetes sufferers or people at risk. I trust that type 2 diabetes can be cured because I have been cured. Currently I am using a strict schedule of diet and exercise provided by my dietician. Fruit such as peaches to help diabetes has been analyzed using its favorable glycemic index, nutrients, high fiber, low sugar, minerals. Explained very well in this blog is-relation of the components of the fruit with inflammation, cancer prevention, heart management with potassium, eye problems (vision is a victim of diabetes) etc. and the help it provides for crippling diabetes. Availability as a fresh fruit, that is definitely the way to eat and inexpensive, that people can afford, it is a stand out fruit for diabetes. This essential blog is a great read, written very well. I hope this gets the world’s attention. Thank you for sharing and I feel lucky to come across this highly powerful content. It’s good to know that you are on a strict diet and exercise regimen to control diabetes. Peaches are one fruit that can help with blood sugars as long as you eat in moderation. It’s crucial to control your blood sugars when you have type 2 diabetes and while fruits do contain sugar, peaches are low enough in sugar as to not affect your blood sugar levels from rising. We are what we eat and as long as we’re knowledgeable about the food we eat, we will be better off.